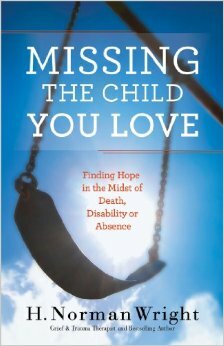 Finding Hope in the Midst of Death, Disability or Absence One of the most devastating losses a family can experience is the loss of a child. Whether the loss is through illness, accident, drugs, suicide or other tragedy, the pain is overwhelming and often paralyzing. Often we think of “loss” as death. However, in our broken world there are many ways to suffer the loss of a child. This book discusses how a family can learn to cope with loss of a child due to not only death, but a custody battle, addiction (and other choices a child makes), chronic illness, crime (human trafficking, kidnap), and other issues where hopes and dreams disappear. Author helps readers through the grieving process, and assists them in finding God’s grace and comfort during this very difficult time of life. One of the unique features of this book is that it is for parents as well as grandparents.